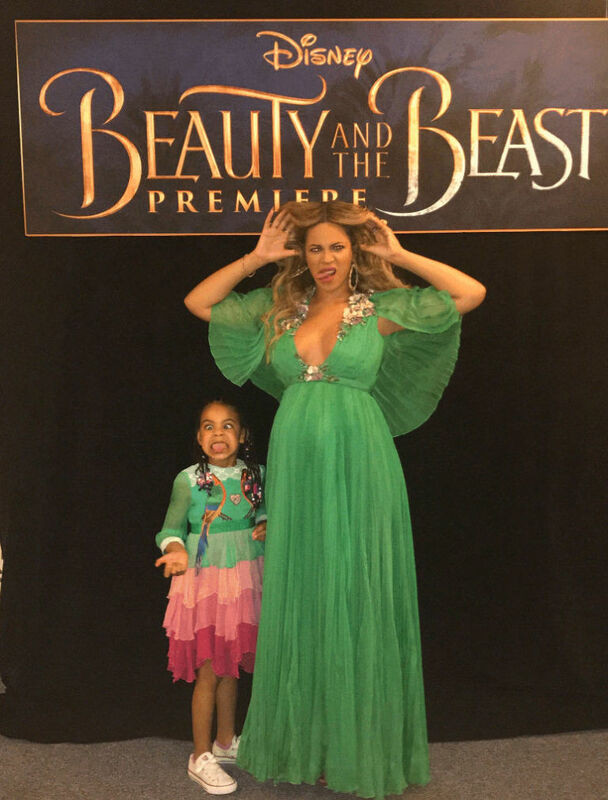 The Knowles-Carter clan got dressed up in coordinating outfits to attend the premiere of Beauty And The Beast. 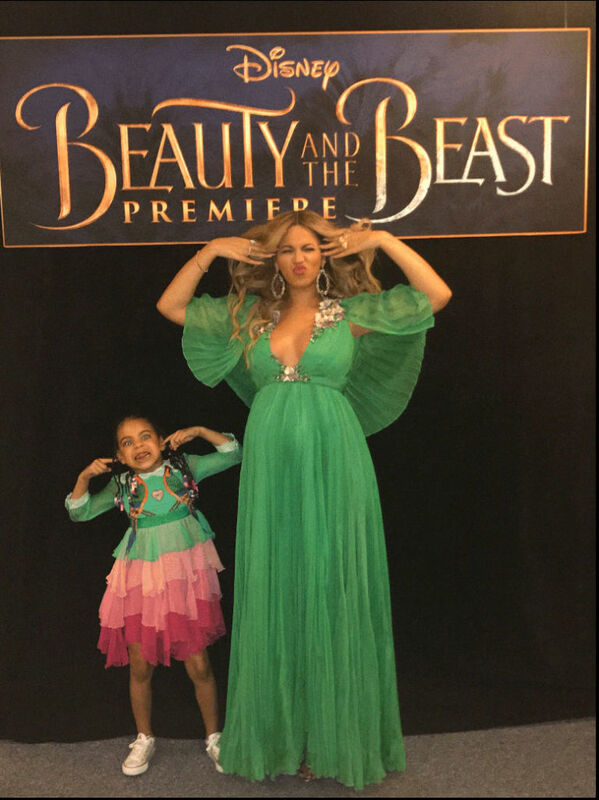 The event was held at the El Capitan Theatre in Hollywood and the family skipped the red carpet and slipped into the theatre right before the show started. 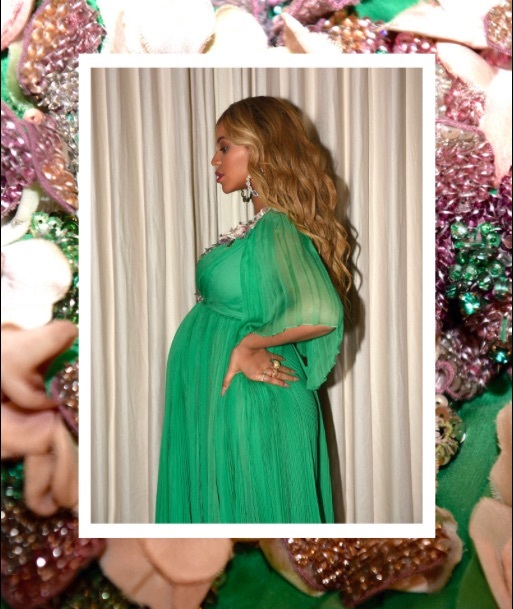 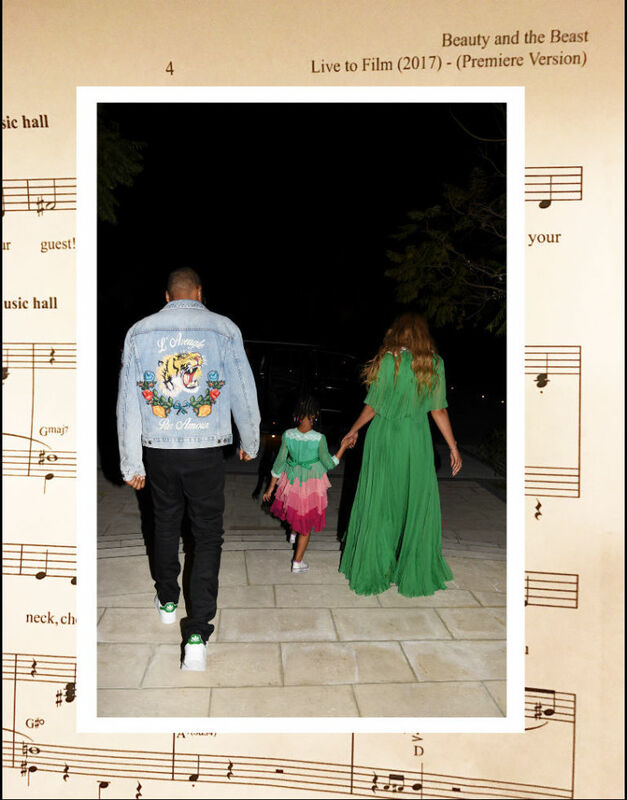 Beyonce shared photos on her website of the family heading out to the premiere. 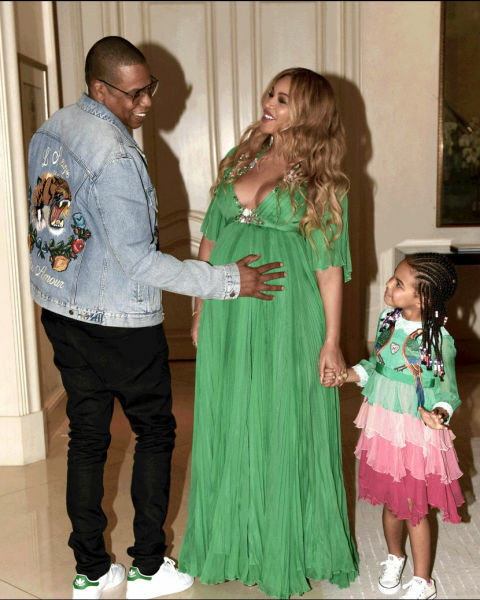 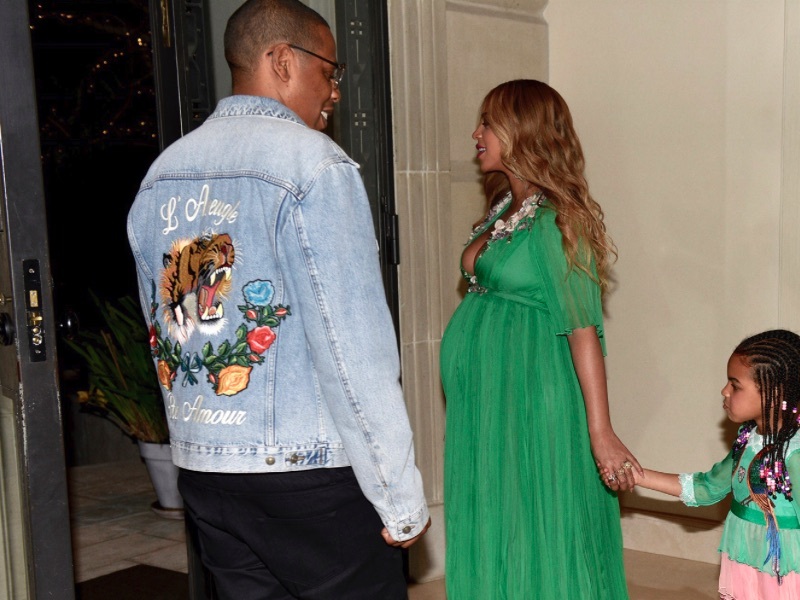 The pregnant singer wore a Gucci dress while Blue Ivy wore and mixed color dress and Jay wore an embroidered denim jacket.